First start by reading the official documentation for solutions to install problems. Do not rename the downloaded installer file, for example if it's named ccsetup554.exe leave it as is. If the installer file is renamed to something else such as CCleaner v554.exe, etc., there's a chance the installation will fail. This is specifically on Windows 10 computers. Make sure the installer file ends with the .exe extension. Download and save the installer file into your Downloads folder and start the installation from there, don't select Open or Run from within your web browser. Credits go to Hazelnut for this tip. Exit running programs that may interfere, or temporarily disable them, i.e. ; antivirus software, etc. Note: Under normal circumstances you should not have to do this. Make sure CCleaner isn't already running. 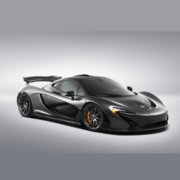 To find out if it is open Task Manager to see if it's in the list of running processes. This is important since it can help remedy installation failure and a proceeding dialog that reads as Error opening file for writing. Try to install CCleaner in Safe Mode. Credits go to Hazelnut for this tip. Make sure the installer isn't trying to install into a non-standard location. Credits go to srom for this tip. Try a clean installation of CCleaner. 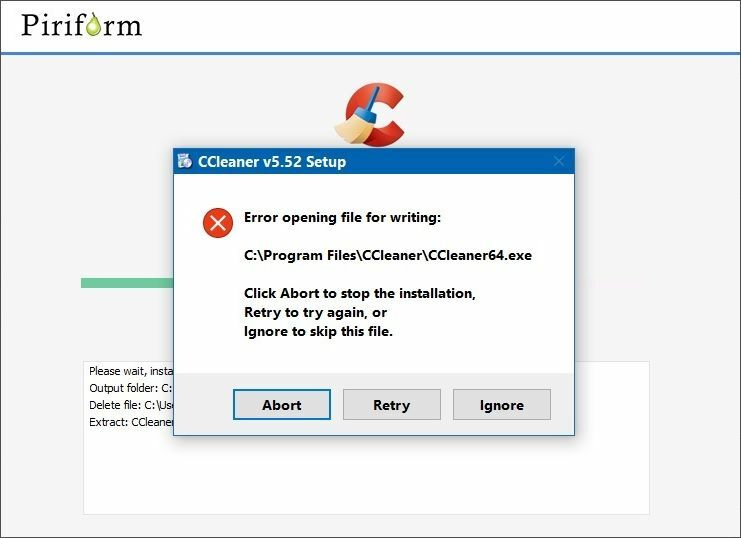 To do this uninstall CCleaner, restart your computer, and then reinstall CCleaner. Note: Doing this will cause you to lose your CCleaner configuration such as Cookies to Keep, etc., and you'll have to reconfigure it with your preferences. Warning: If in the past you've had considerable difficulty getting CCleaner to successfully install do not uninstall your working version. If the above attempts fail download the Portable version of CCleaner, then unzip it to use CCleaner, you can even unzip it into the folder where an older version of CCleaner is installed to update it. Note: If you update an old already installed version using the Portable version make sure you delete the portable.dat file before launching the new version of CCleaner. If you're still having issues after trying everything listed above post a bug report. Clean the cache ("Temporary Internet Files") in your web browser. Try downloading in a different web browser. Try again in a few minutes or hours. The processor (CPU) has to have SSE2 (https://en.wikipedia.org/wiki/SSE2) for CCleaner to function.